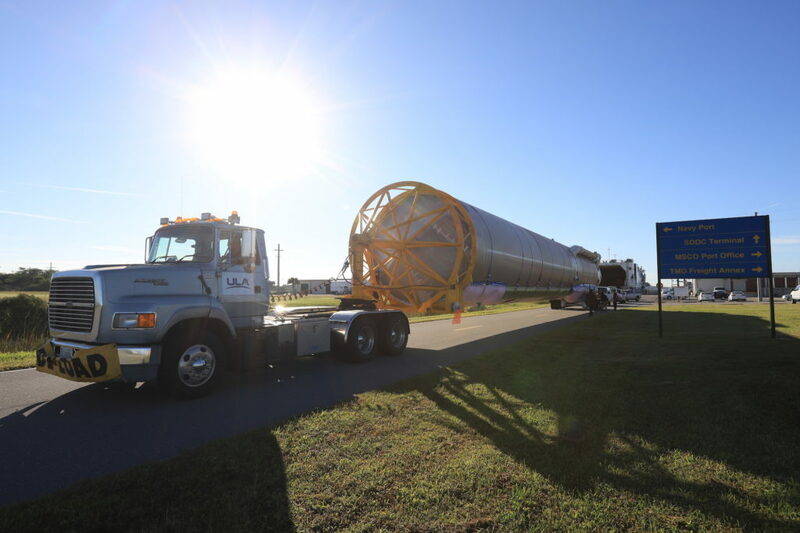 December 13, 2018 – All launch vehicle hardware has been delivered to Cape Canaveral for the United Launch Alliance Atlas V rocket to launch Boeing’s first CST-100 Starliner spacecraft on its uncrewed Orbital Flight Test. The Atlas V first stage rolled off of the Mariner cargo vessel on December 7 at the Cape Canaveral wharf for the short drive to the Atlas Spaceflight Operations Center for receiving inspections and checkout. Mariner is the ocean-going vessel that ULA uses to transport rocket stages from the manufacturing plant in Decatur, Alabama to the launch sites. The Atlas stage departed the factory November 28 for the journey of nearly 2,000 miles. This delivery means all of the hardware that ULA needs to launch the first Starliner has been received at the launch site for final integration.